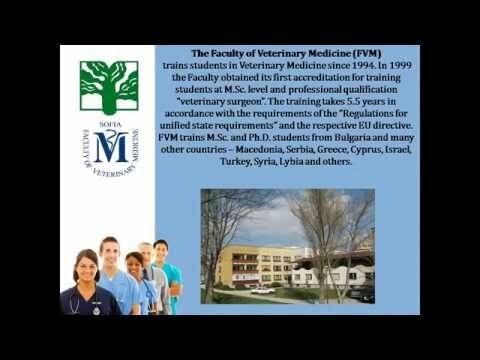 The University of Veterinary Medicine in Sofia, Bulgaria was founded in 1917 and is organized into four faculties. Medical, Dental, Pharmacy and Veterinary Medicine. The credit system is compatible with the European Credit Transfer System. Over all these years, eminent personalities of the health sector passed by the University, leaving a great legacy to the next student. Currently holds leading positions as an educational and scientific social care institution in Bulgaria, maintaining a high level of theoretical and practical training of students at both basic education and graduate. The duration of study at the University of Veterinary Medicine is 5.5 years, and tuition fee is 4,500 euros per year. The University entrance exam at University of Veterinary Medicine is a multiple choice test for which we fully prepare students to ensure 100% success.